My name is Christine Thorn and I am the Sage of Interiors. I chose the name for my Connecticut-based business because throughout time, a Sage has been known as someone with a discerning eye, wisdom and keen perception without judgment. I embrace these qualities in my life and call upon them each time I enter someone’s home and envision how they may live more simply through becoming more organized, tidy, and surrounded by things that only bring joy into their lives. At the center of her philosophy is a question: Does this item spark joy? Chris came into my house and it has changed my spirit, my soul, my energy level to something that’s absolutely amazing! Every time I open a door to my closet I see nothing but joy rather than junk and clutter and digging through clothes trying to get ready for work. Every morning has now become an absolute pleasure going into my drawers and closets and seeing what I am going to wear today, “Oh, it’s right here, hung up, color coordinated, and beautiful!” Chris is a loving person with a true compassion for what she does and finds joy in everything she touches. My life is forever changed because of her. Thank you for your inspiration and knowledge. I love Sage of Interiors and Chris! I had a vision in my mind of what I wanted our home to look and feel like. Clutter free, organized and comfortable. Working as many hours as I do in a week, it felt impossible to achieve that on my own. I’ve attempted it many times and time after time, I never was able to finish the job. Christine and I had our first session on Sunday and it was life changing. Not only is she a wonderful person and a breath of fresh air, but she’s great at what she does. She was respectful of my things and when asking if items sparked joy, she was okay with letting me keep the things that truly did… Thank you, Christine! Forever grateful and excited to continue this process with you! When my home and surroundings are in order, I feel peaceful and much less stressed with my day-to-day activities. My philosophy has always been one of simplicity and balance and has inspired my lifestyle. After having KonMari ‘d my own home, even less time is spent on stressing and cleaning, which means more time devoted to the fulfilling things in my life – nature, yoga, cooking and spending time with my loving husband, David, my family and beloved fur baby Caleesi Morgan. For the past 27 years – before KonMari completed the equation – I have been helping people with their body, mind, and spirit. As a Chiropractor, Reflexologist, Reiki Master Practitioner, and Acupuncturist, I have listened to and supported my patients with compassion as they heal through the various stages of their lives. 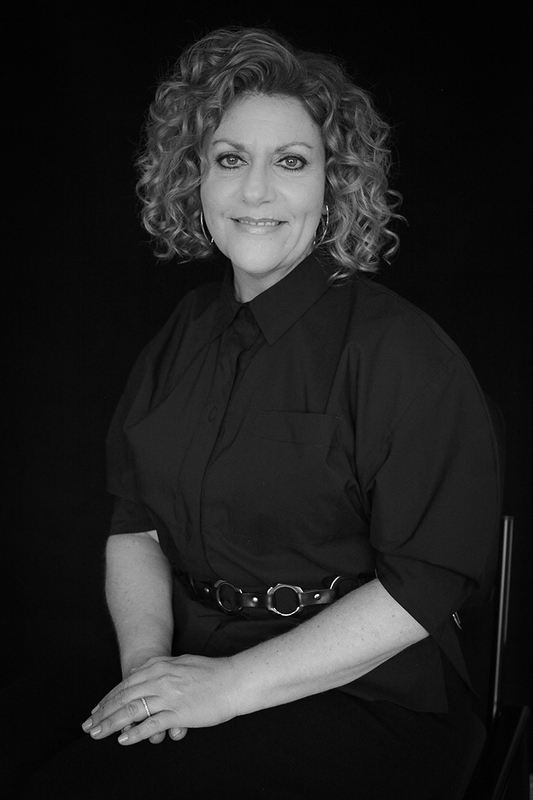 My passion for helping others heal through their environment and home has grown, and as a result, I’ve helped many patients, friends, and family members create a new look and feel within their living spaces. Sometimes it was just a matter of choosing a new paint color, different furniture styles, or simply rearranging a room while eliminating or adding small details. Chris is an amazing KonMari consultant. She helped my husband and I to finally organize our walk in closet. She guided us in this task and always with the intent of ‘sparking joy’. 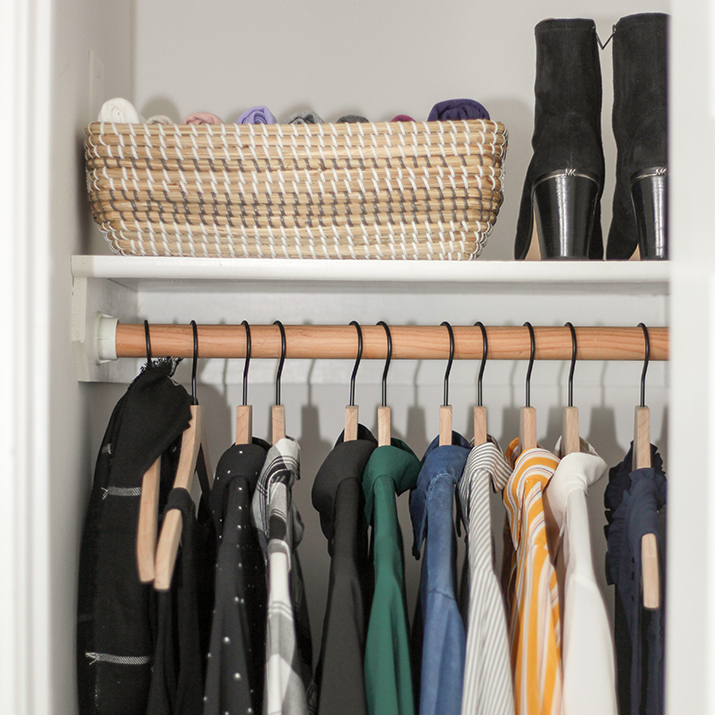 Three months later, our closet and drawers are still tidy and so easy to maintain. I recently had to pack for a trip and I was amazer at how quickly I did it. I wanted my walk-in closet to be like a breath of fresh air when I entered it and it certainly is! She has an uncanny ability for organizational solutions. There is never any pressure because the method respects every individuals needs. Once you start, you see how it flows with simplicity and everything in its perfect place! Christine, what you offer is so much more than what the eye can see in making our home organized and functional! Creating the space really clears the clutter inside and outside so that what you see is a reflection of the peace and order that creates changes in the atmosphere, truly ‘sparking joy’ in your life! Anyone can clear out a drawer or closet, but to be able to maintain it and want to keep it that way truly reflects that it really is an inner transformation!. Thank you for being a true Sage of Interiors! I’ve always had an eye for style. For me, it’s all about balance. I can walk into a room to see what could be modified and easily visualize those changes down to the smallest of details. This ability is not only practical when it comes to staging a home for sale or restyling an existing living space, but also when it comes to organizing. It’s something that comes so naturally to me that I have decided to turn my passion into my career. Declutter your home. Unclutter your mind. Find something you thought you lost. Let go of something you no longer need. Chris’ passion for joyful simplistic living is contagious. So grateful for her wisdom! Chris, thank you so much for all your help today. My paperwork was overwhelming and now it is minimal. You are wonderful to work with and no anxiety with this process. I have always hated my dresser and now I love the way it looks. So functional! It makes me want to do my entire home. Could not have done this without your expertise… I have tried!